Fendt 900 Vario MT win "2018 Machine of the Year"
Fendt tracked tractor wins best "Tractor XXL"
The DLV technology editors were impressed with the combination of VarioDrive stepless drive, low speed design and newly developed spring-loaded track drive. There is only so much soil. You can conserve it using Fendt. The soil forms the basis of healthy crops and high yields. Managing it efficiently and with care ensures long-term economic success. In addition to efficiency and comfort, soil protection is our top priority when developing tractors. If you want the advantage of grip and soil, go for Fendt. Fendt 900 Vario MT combines the best of two worlds. The experience gained from the installation of more than 250,000 Vario gearboxes, and the know-how obtained from more than 30 years of experience with track tractors, as well as the Fendt operator environment and Fendt Variotronic make it a modern and innovative track tractor. Intelligence and performance combined. Unrivalled traction power meets Farming 4.0. Machine power alone is no longer sufficient for efficient cultivation of large areas. Enormous potential lies in planning and documentation of work, and automatic control of partial widths and seed rates. 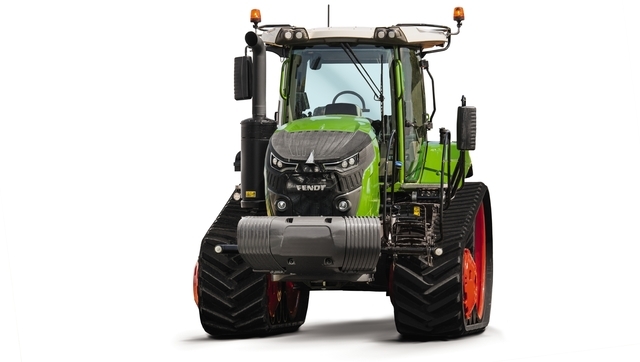 Fendt VariotronicTI offers you the functions and interfaces you need. Fendt 900 Vario MT: The only real tracked tractor. Everything, you’d expect from a Fendt. As opposed to the other tracked tractors, Fendt 900 Vario MT is not based on a standard tractor. It has been developed as a pure tracked tractor and you can feel that too. Fendt 900 Vario MT is ideal for these challenges. Experience and innovation for your success. The only way to really experience all the advantages of a tracked tractor is to choose the Fendt 900 Vario MT. It combines experience and innovation, which will help you and your company to move forward. AGCO Power 9.8 l seven-cylinder engine with up to 431 HP. What makes the Fendt Services different? For us, service means knowing and understanding your work in order to meet your demands for reliability and safety and to act in your economic interest. We stand behind our products and have developed them for the highest demands and long-term operation. Our service is the partnership aspect for your work. In case of tracked tractors, an extensive manufacturer warranty extension offers full cost control and planning reliability. In case of tracked tractors, flexible runtimes and longterm tariffs (with and without cost sharing) offer full coverage (except wear) for the first eight years or the first 10,000 operating hours. Where are the Fendt tracked tractors developed and manufactured? The Fendt tracked tractors are manufactured in Jackson, Minnesota (USA), our global competence centre for tracked tractors and caterpillar tracks. Here, the tractors undergo numerous intensive tests before they leave the factory, so they can perform their best in your business. Regular certification according to ISO standards confirms the high quality of the entire production process up until delivery.